You have to hand it to the Germans; they certainly know how to produce an eye-catching piece of design and the completely inimitable Novus electric bike somehow straddles the worlds of motorcycling, mountain biking and e-bikes while remaining incredibly stylish. 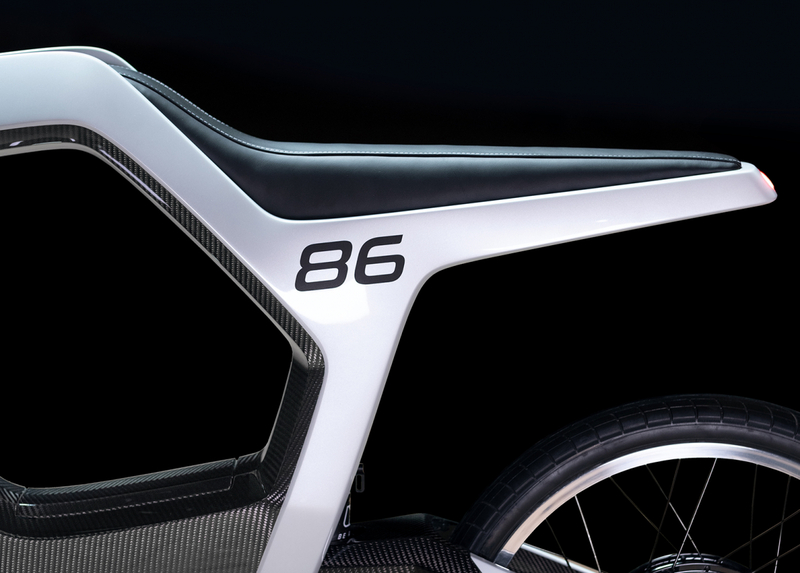 Fitted with a purpose-built lithium-ion battery pack, the Novus is capable of delivering a maximum range of 60 miles. Its makers claim that in urban traffic this corresponds to a travel time of over three hours. The battery can recharge up to 80 per cent within one hour. 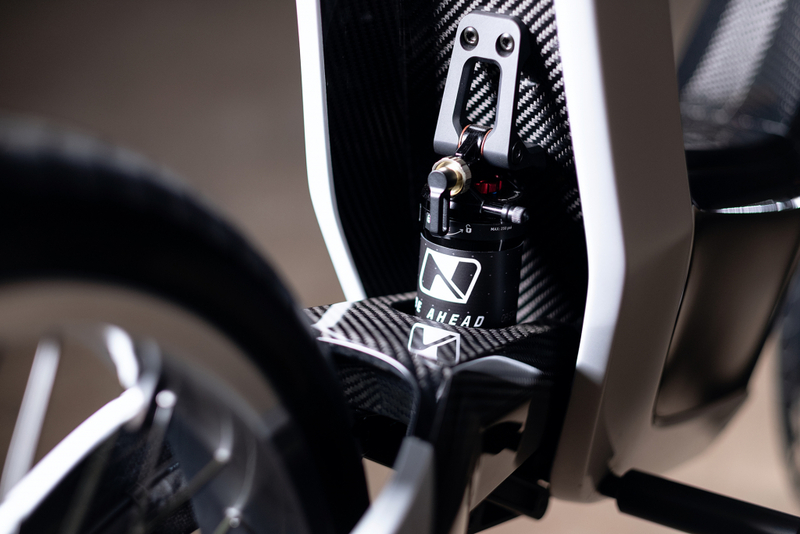 The brainchild of René Renger, Marcus Weidig and software engineer Eric Libeau, Novus hopes to shake off the stuffy image of restrained e-bikes with a brushless hub motor system that can propel the machine onto a top speed of 60mph. With a peak power of up to 14kW, the 200Nm of torque is efficiently converted into forward movement, while wear on parts such as chain and clutch are not a problem. 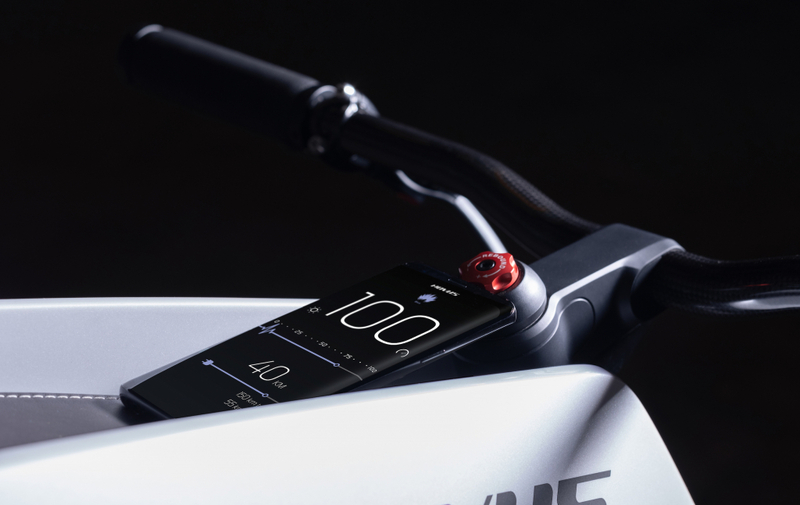 There’s a sleek integrated rear taillight, a neat starter button sits where the fuel filler cap would live on a motorcycle and the bike boasts plenty of connectivity features, with the ability to safely integrate a smartphone for use as the vehicle’s dashboard. Carbon fibre forks with integrated adjustable dampers feature at the front and a clever rear air damper suspension is integrated almost invisibly into the frame and the swingarm. So where’s the catch? 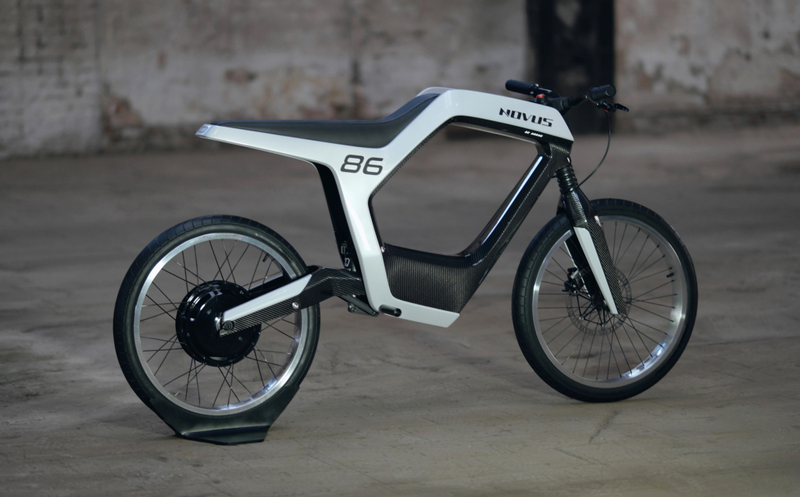 Well, prices look set to hover at the £30,000, which is a huge chunk of change for an electric bicycle. You can check out the Novus Website if you fancy finding out more.